Quiet operation, slim design and 99.97% HEPA filtration/carbon odor filter that clears air of most airborne bacteria, dust, pollen, molds, pet dander and tobacco smoke. Four speed settings and digital display with timer. Filter service indicators. 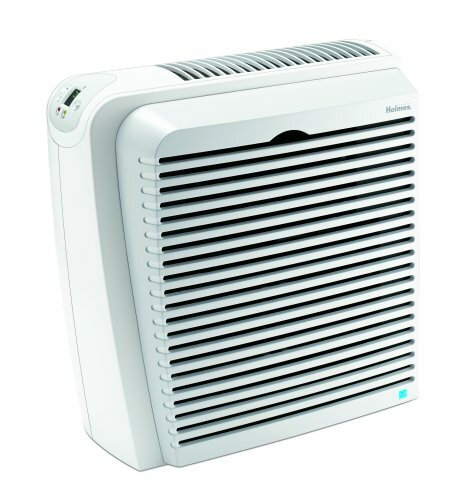 Air Cleaner Machine Type: HEPA; CADR: 270; Maximum Room Size (Square Footage): 418 sq. ft.; Maximum Room Size: 19 ft. x 22 ft. If you have any questions about this product by Holmes, contact us by completing and submitting the form below. If you are looking for a specif part number, please include it with your message.